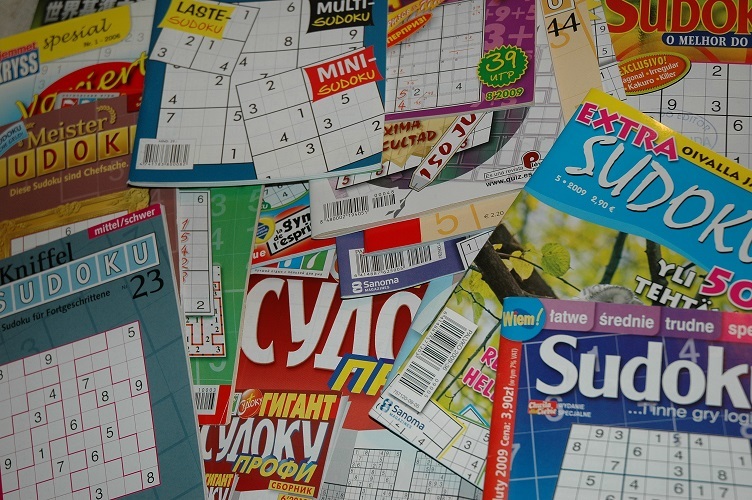 It’s been a while since we’ve done a roundup of new puzzle books and packets available from top constructors, so I reached out to the puzzle community on Twitter and asked for recommendations for my fellow PuzzleNationers! Let’s see what we’ve got! First off, Patrick Blindauer has a new PuzzleFest available, and this one is Broadway-themed! Now, if you’re not theater-savvy, don’t worry. You’re not required to know anything about Broadway, it’s simply the unifying link between all the themed puzzles. So there’s some theatrical wordplay afoot! Click here for more information. Patrick is charging $20 for a downloadable and easily printable PDF, and based on his track record of terrific PuzzleFests, this should be another great one! Along a similar line, the puzzles from both this year’s Bryant Park puzzle tournament and last year’s tournament are available for download as a package deal for only $10! You can’t go wrong with two year’s worth of puzzles for such a low price! 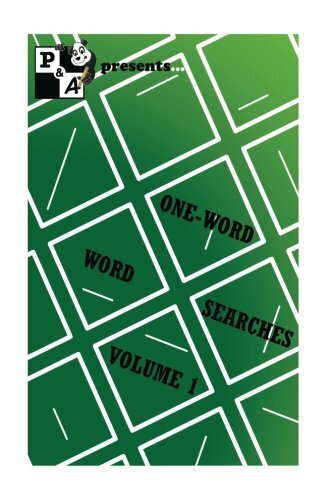 Turning our attention to puzzle books, Foggy Brume has a collection of One-Word Word Searches available. It sounds simple. All you have to do is find one word in a field of letters. How hard could that be? Well, it’s more challenging than you might expect! This puzzle book is priced to move at $7.50 on Amazon. 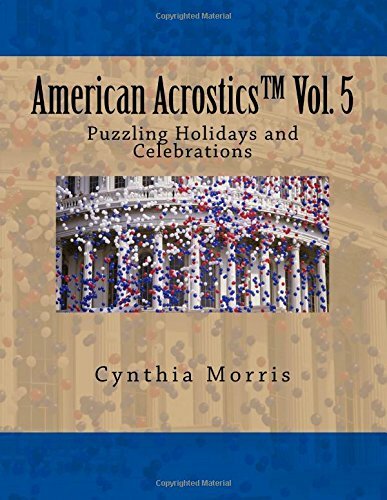 Friend of the blog Cynthia Morris has a new edition in her long-running American Acrostics puzzle book series, and Volume 5 is all about American holidays and celebrations! This puzzle book will run you $9.95 on Amazon. 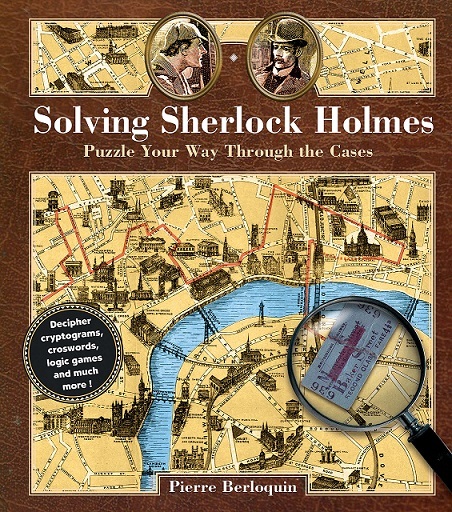 And finally, puzzle book master Pierre Berloquin has a collection of puzzles centered around the adventures of Sherlock Holmes and Dr. Watson in Victorian London. Based on the classic novels and short stories, the world of Holmes comes alive with all sorts of puzzly fun wrapped in Sherlockian trappings. This puzzle book and walk down Memory Lane for mystery fans is available on Amazon for $14.95. Hopefully one of these puzzle books or puzzle sets piques your interest, fellow puzzlers and PuzzleNationers! Let us know if you snap any of them up! This entry was posted in PuzzleNation, Puzzles and tagged Acrostic, Acrostics by Cyn, American Acrostics, Broadway, bryant park, crossword, crossword tournament, crosswords, crostic, Cynthia Morris, foggy brume, Geeking Out, Patrick Blindauer, Pierre Berloquin, Pop culture, Puzzle to solve, puzzle tournament, PuzzleFest, PuzzleNation, Puzzlin' fool, Sherlock, Sherlock Holmes, Solving Sherlock Holmes, Word search, Wordplay by gmdirect. Bookmark the permalink.